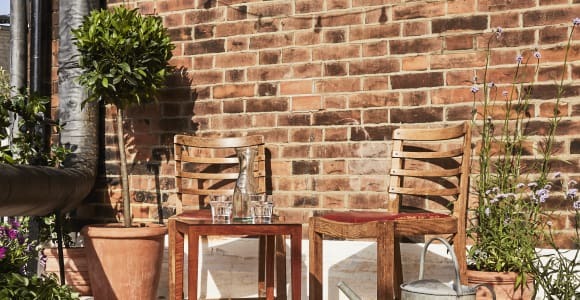 This classically themed collection of plants brings together a wonderful mix of evergreen plants for year-round greenery and more colourful pastel coloured flowering plants to bring your balcony to life in the spring and summer. 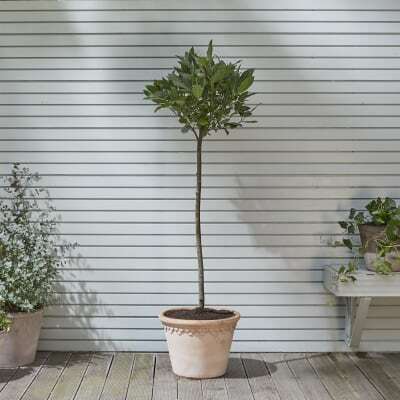 Laura is better known as a Bay Tree and is a timeless plant, with good reason: it's hard to make her look out of place whether she's on a small balcony or a larger terraced garden. 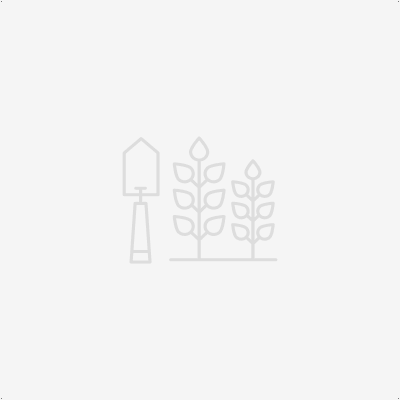 As well as being among our edible plants, Laura is also very low maintenance. Win win. 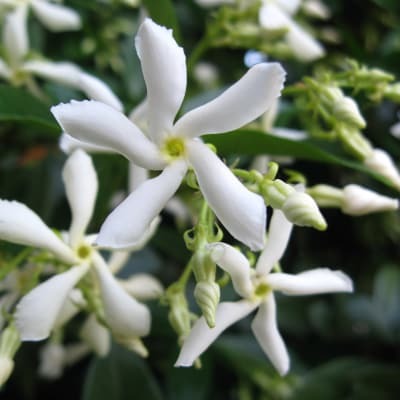 Hailing from the Far East, our Climbing Jasmine Jazz is an absolute star. Almost literally – she's known as Star Jasmine. She's a great entry-level climbing plant as she's evergreen, self-twines and produces irresistible, sweet-smelling flowers. Though Argentinian in origin, Verbenas are a brilliant addition to any classical English garden or for those who are looking for some elegant late-summer colour. Their tall, elegant stems are covered in clusters of tiny purple flowers and are the ideal flowering plant to help bring structure and colour to your space - without taking up too much room and thanks to their long bloom time, their pollen helps to sustain bees and butterflies into the autumn. In this collection we've combined the two different sized Verbenas to create a lovely symmetry. 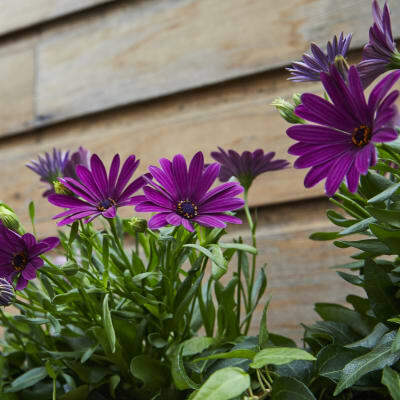 If planted in a bright, sunny spot, Osteo the Osteospermum will be your best friend in your late summer garden. Their brightly coloured daisy-like flowers will unfurl to greet you and will be in flower between mid-summer and early autumn. 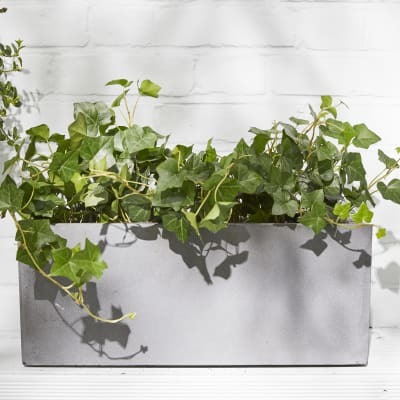 Ivy the Hedera Helix is another classic addition to an English garden, and a perfect one for novice gardeners, due to her low-maintenance and unfussy character. Enjoy her most during Spring when her fresh growth adds a brighter shade of green to her mass. 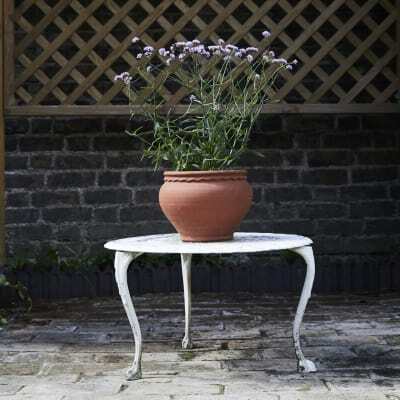 Contains one Bay tree, one big Climbing jasmine, one large Verbena bonariensis, one small Verbena bonariensis, four purple Osteospermum and two trailing ivy. Terracotta pots, compost and drainage is also included.